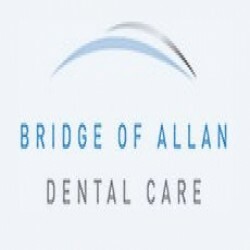 We are a well-established and respected dental practice in the centre of Bridge of Allan offering consistent, high quality dentistry to ensure healthy teeth and gums. We also offer cosmetic dentistry. Everything from white fillings and tooth whitening through to more advanced dental treatments. We have all the latest dental technology and sterilisation equipment you would expect so you can be sure you are in safe hands. Find out more about our dental treatments in Bridge of Allan, or our membership benefits online now.